Minnie Mouse is a classic girly girl and I love me some girly cakes and cupcakes. 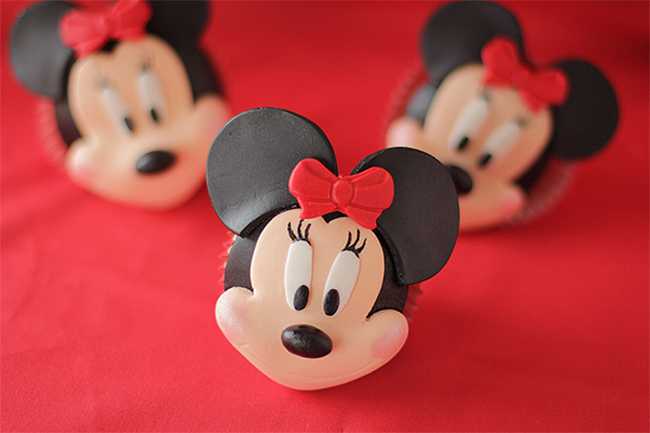 I made some Minnie cupcakes recently and managed to take some photos of the process. 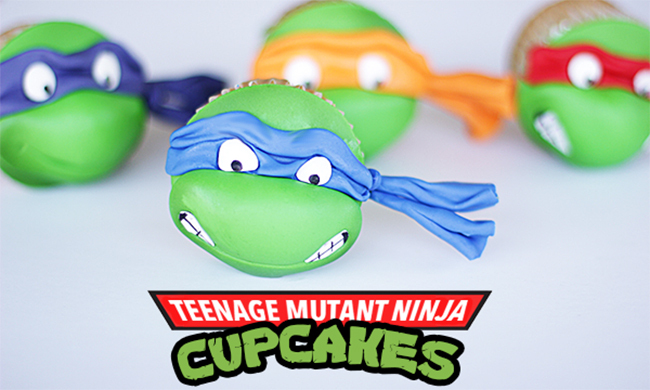 These cupcakes are admittedly time consuming, but the end result is very much worth the trouble. Let’s take a look at the process, shall we? Alvin, Simon, Theodore! I’m an 80s baby and the cartoons from those years bring back after-school and Saturday-morning memories. While the newer versions of these cartoons are nice and feature lots of CGI and other special effects, the originals just hold a special place in my heart. Plus, they’re just better, in my not-so-humble-and-possibly-biased opinion. In other words, I’m just a big ‘ol kid at heart. I realize The Chipmunks have been around for quite some time, pre-dating even my favorite 80s version. But that’s neither here nor there. 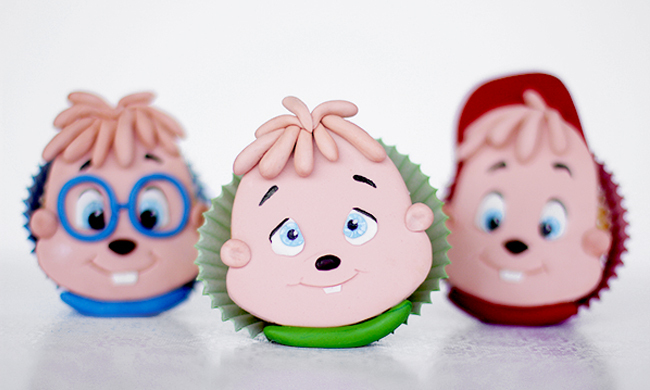 In honor of one of my favorite cartoons, I present to you the 80s version of The Chipmunks, in fondant form, of course. Here are a few pictures on how to go about making the whole chipmunk gang. Continue Reading..
We’re going to employ a little common sense here. Ready? Good. Let’s say you take 30 of your closest family and friends to Olive Garden and want everyone to enjoy a slice of Lemon Cream Cake (yum!). 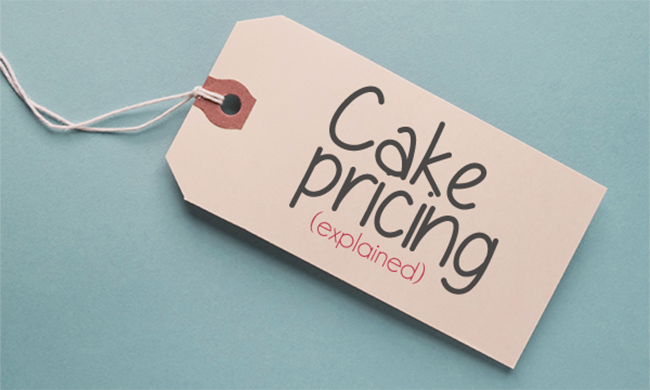 At $5.95 per slice (here in Killeen, Texas), you will be looking to pay about $180 (before tax) for 30 servings of cake. That is 30 servings of cake that is NOT customized, NOT decorated to match any theme and NOT made to order. I get phone calls from potential customers everyday. Sometimes, the conversation goes something like this: Continue Reading.. 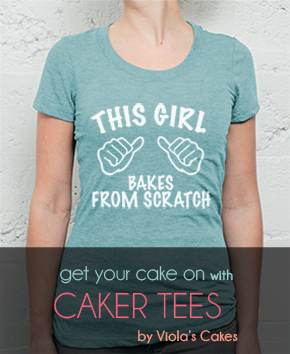 I'm Viola, self-taught caker, graphic designer and sometimes blogger. I live in sunny central Texas with my husband Draper and our five (yes, five) children. When I'm not making a mess in my kitchen or designing something, I enjoy dabbling in photography and reading.